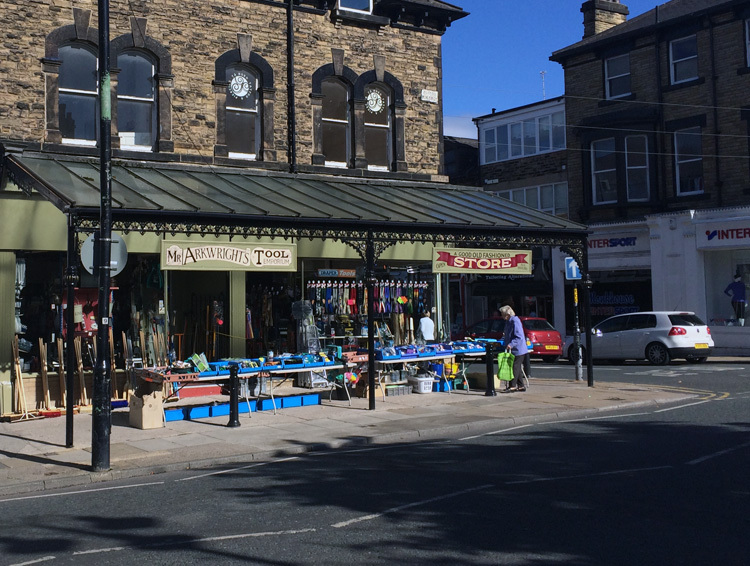 Harrogate, like most large towns, has a variety of shopping and eating offerings. 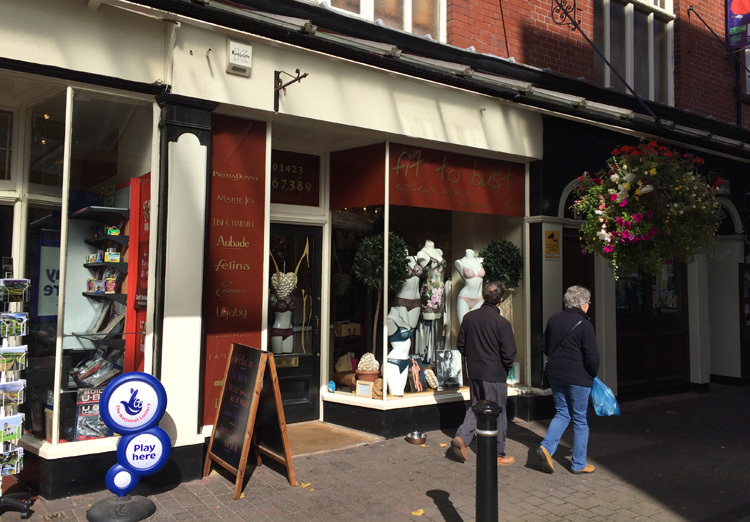 James Street hosts all the smart bits – Hobbs, Laura Ashley, White Company, Waterstones, Jigsaw, Phase 8, Crew Clothing, Brora, Russell and Bromley, Austin Reed, L’Occitaine, Carluccio’s, Hotel Chocolat, Ecco and the new iStore – you get the picture; there are more black Range Rovers with personalised number plates per square metre then anywhere outside the King’s Road. Move one street down [i.e. north therefore – as in “coming up to London” seems to imply up=south] and you’re in Cambridge Street – M&S stands out from W H Smith, Morrison, Primark – you could be anywhere. One street further north [good name for a bar that, “Further North” – see later] and you’re in Oxford Street. Now this is different. Not edgy – that’s between Harrogate and Knaresborough in Starbeck – but Bohemian in a kind of knit-your-own-yoghurt way. 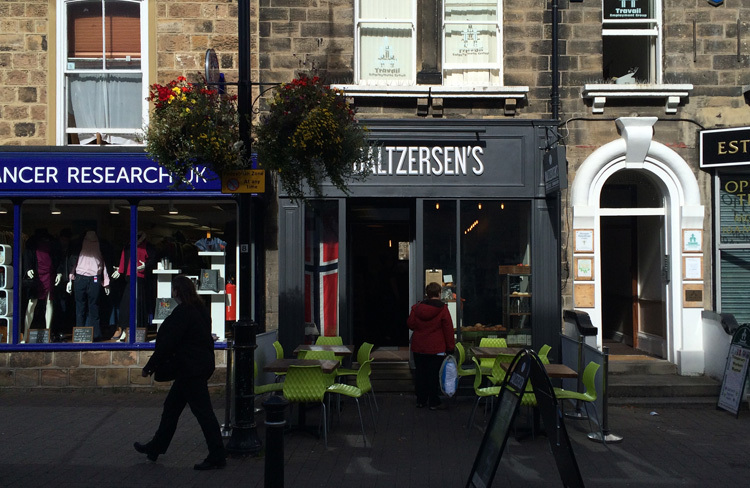 Here we find Baltsersen’s, a nice café that draws from the Swedish for its inspiration. Good cakes and pastries in the window to tempt you in, you find a table and order at the counter. Simple salad , stew  and a handful of very good if large sandwiches. Hot smoked salmon and extras. They do wine and beer, but almost everyone drinks water or coffee. 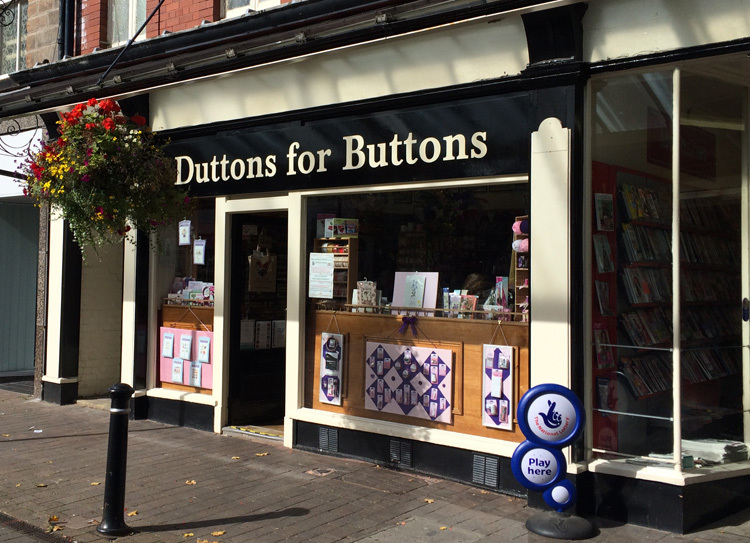 Oxford Street holds a number of gems: Duttons for Buttons, where you’ll find every kind of button [obvs], Fit to Bust and Schuropodist. 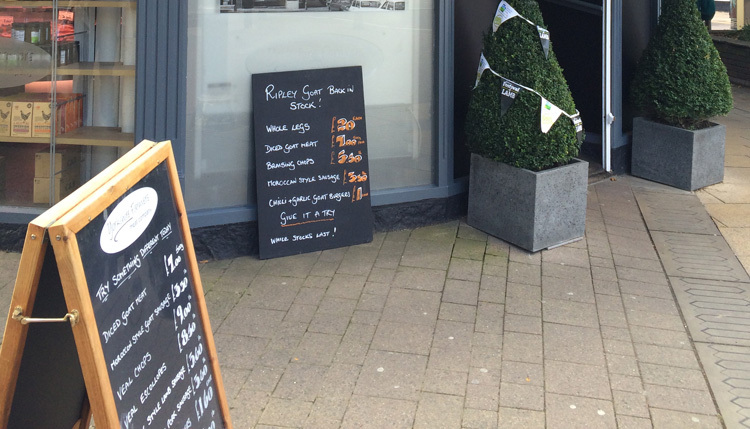 Yorkshire Farmers’ Meat Company at the end, with goat a popular option – back by request! Just at the end, across the road, is a branch of Mr Arkwrights Emporium [also Boar lane Leeds] taking inspiration from “Open all Hours”. 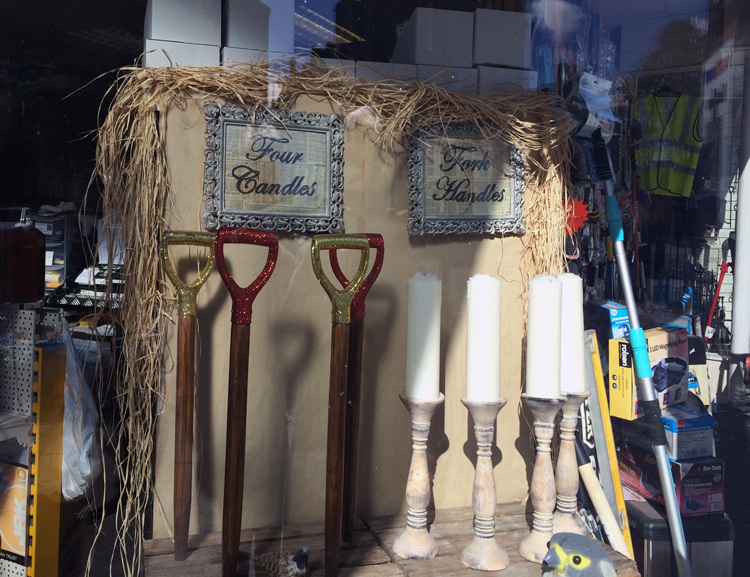 In the window that easy trap of the English language “Fork handles v Four candles”. Restaurant Norse and Jay Rayner’s Review in the Observer September 28, 2014. Fork handles or Four candles? Yorkshire Farmers’ Meat Company – goat’s popular this month!